Officially due tomorrow, you can snag the latest version of Firefox early if you're willing to perform a manual installation (download: Windows, Mac, Linux). 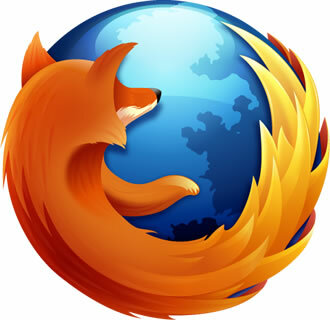 Since switching to a six-week release cycle, many of Mozilla's updates have been relatively minor, but Firefox 13 brings some significant tweaks from April's stable release. Visually speaking, the most notable changes are the browser's redesigned home and new tab pages. The former (type about:home in the address bar if you aren't brought there by default) offers a familiar Firefox logo and Google search bar, but introduces handy shortcuts at the bottom of the screen for easier access to your downloads, bookmarks, history, add-ons, sync, settings and previously closed tabs. This page can be pinned as an app for quick access and it's expected to be used as a portal for Mozilla's app marketplace. Meanwhile, the revamped new tab page contains thumbnail previews of frequently visited sites, not unlike Chrome and Opera. Although it will naturally populate with sites, you can permanently pin your favorite locations. If you dislike this change, you can revert to the previous style with the show/hide button in the top right-hand corner of the page. Another interface-related tweak is the enabling of smooth scrolling by default. Mozilla has also introduced a "reset Firefox" feature as a simple workaround for corrupt profiles (see the about:support page), which lets you create a new profile and import key user data such as your history, bookmarks and passwords. Other changes include support for SPDY, a Google-backed protocol designed as a successor to HTTP and reduces page load times, as well as improvements to Firefox's memory performance.